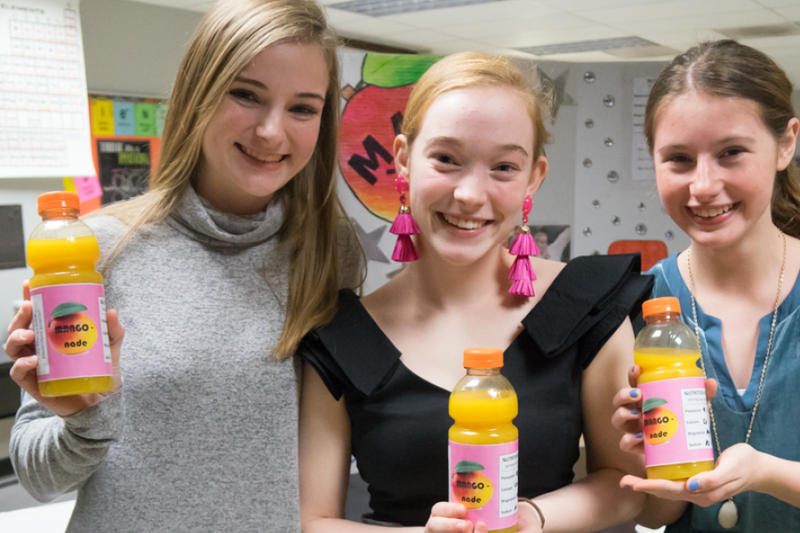 After their unit on electrolytes, solutions and density, upper school students combined their knowledge to create sports drinks as part of a chemistry project. Teachers, administrators and peers tasted each group’s drink and listened to their presentations. The results were impressive, high quality and delicious! The journey from beginning to completion was filled with many chemistry-related skills such as measuring mass, volume, density, molar mass, molarity, percent by mass, freezing point, pH and quantity of electrolytes per serving. The project required taste-testing, naming the drink accordingly and making a presentation to a panel of judges who listened to process of making their sports beverages, tasted and gave feedback on the drinks. Click here to view photos of the chemistry project.